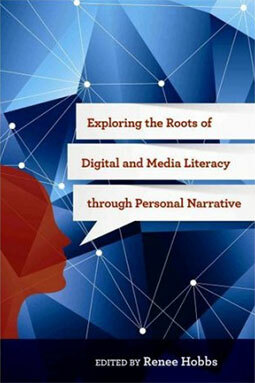 The Grandparents of Media Literacy Gallery is the website companion to a book edited by Renee Hobbs entitled Exploring the Roots of Digital and Media Literacy through Personal Narrative, which was published by Temple University Press in 2016. Anyone can upload an intellectual grandparent, providing information about their work that will enable readers to understand their key ideas and contributions. Anyone can share a story about any grandparent, explaining "how they influenced you." As an transdisciplinary topic, media literacy scholars and practitioners come from many backgrounds and fields, and we possess different kinds of foundational knowledge. We do not all rely on the same canonical texts that "tell the story" of our shared values and beliefs. Through this website, threads of previously overlooked connections help us understand the subjectively-experienced history of media literacy education around the world. Please read the contributions below and use the website to share your own stories of how the grandparents influenced your work. Scroll down to read the authors in this volume, who share insights on some of the intellectual and metaphorical grandparents of media literacy. Through personal storytelling, we discover how we have been influenced by the generation of scholars and thinkers who came before us.